Ever wondered what your friends do during study hall or just what goes on in those classrooms? Does anyone actually do homework or are we all reading magazines, watching TV, or just staring at a blank spot on the wall? We interviewed 50 students through an electronic survey (a highly scientific study), and they claimed their study halls were surprisingly studious. 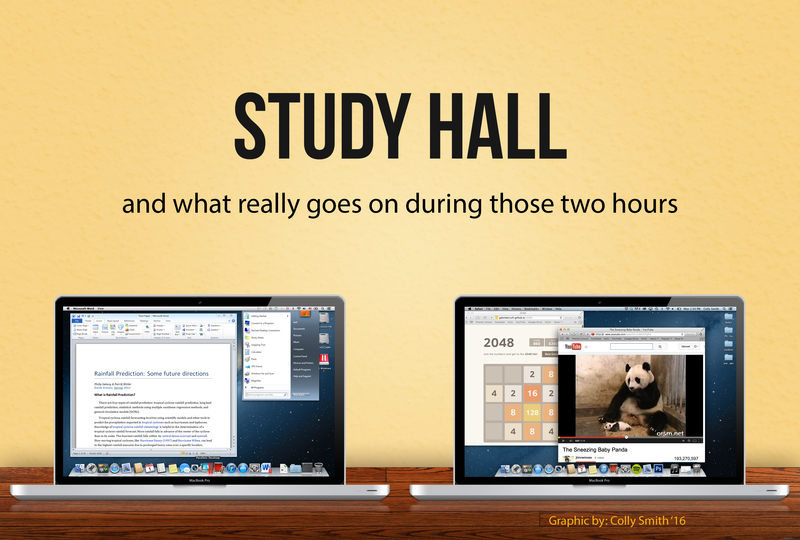 According to a majority of the responses, Study Hall is used for focused, concentrated study time, where students get their work done as efficiently as possible. Most students get cracking sometime between 7:15 and 7:40, right at the start of study hall (but always employing mild procrastination). A popular strategy to deal with high workload is to prioritize work; work for subjects that appear earlier the next day is completed first, then the remaining subjects. Interestingly, all the freshman responses stated “working” as the main activity. Oftentimes there is some form of “reward” at the end of study hall, such as a small snack or hanging out with friends. Some students elect to watch TV or go to bed early to prepare for the next day. It all sounds very productive, no? But, wait! What about Sundays? Our 50 responders were divided: half of the students did their weeknight routine on Sundays, but the rest did something completely different. For those who don’t know what “LoL” is, ask one of the sophomore boys. Now that you have a better idea of what other students are doing study hall, how will you spend those glorious two hours?